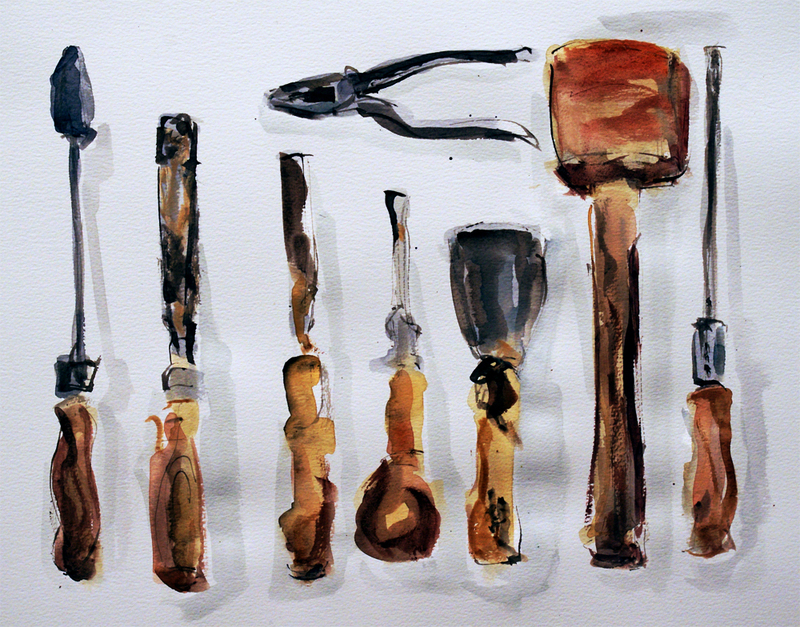 You may remember my painting Dad’s Tools for Day 330 of my Studio 365 last November. I thought for this week’s Photo Challenge: Nostalgia, in which Jeff Golinski asks, “What kinds of experiences stir emotions for the past within you?” this photograph of the tools, some of which are over seventy years old and which I still use lovingly today, would be the perfect answer to his question. A great choice for the prompt. Brings back memories of my Grandad’s garage and his tools. 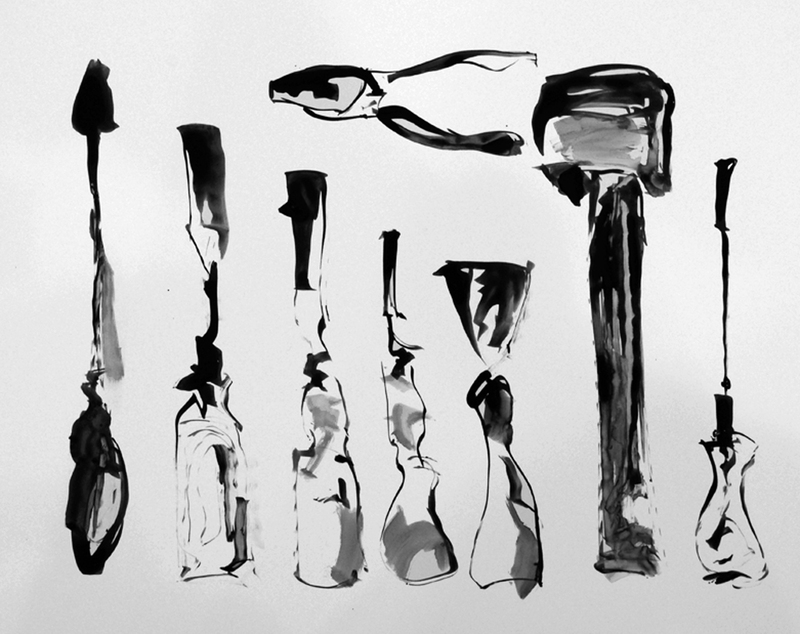 I love these clever paintings of old tools! 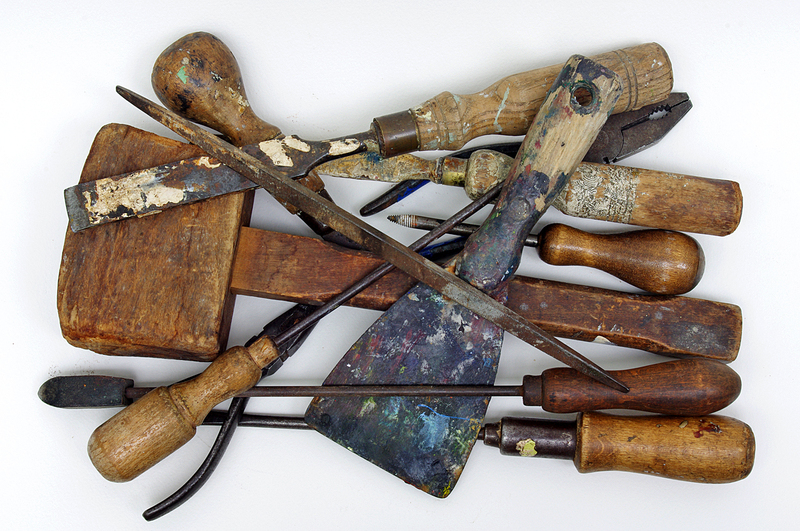 How wonderful to have some of your Dad’s tools! Useful and full of memories and love. I love that so much. To imagine how your Dad or even your Grand Dad was holding them, creating with them, what a beautiful take on this challenge Andrew. Are you still using some of them?